The day before elections, Judge Walker, who is presiding over the federal challenge to Prop 8, held a hearing over a dispute concerning the proponents of Prop 8 and their unwillingness to hand over certain ordered internal campaign communications regarding messaging to the plaintiffs. 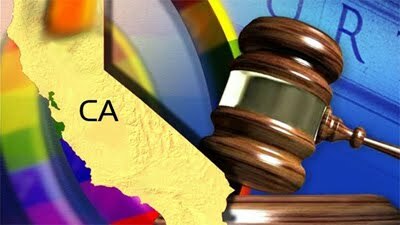 These documents are vital to the plaintiffs in their effort to prove that those responsible for Prop 8 are not concerned about the welfare of the state, traditional marriage or the weak argument of protecting procreation, but that they acted out of animus toward the LGBT population. On November 11, Judge Walker ordered they hand over the documents, stating that they were not protected from disclosure. Today Judge Walker dropped the hammer on Prop. 8 proponents and ordered immediate production of internal communications concerning their campaign strategies and messages to voters. Among other things, Judge Walker admonished Prop. 8 proponents that his previous discovery orders, while being appealed to the Ninth Circuit, remain in effect because the appellate court has not issued a stay. Thus, Prop. 8 proponents risk contempt of the court if they continue to withhold production. According to today’s order, Prop. 8 proponents are ordered to produce additional responsive documents on a rolling basis to conclude not later than the close of fact discovery on November 30, 2009. It really makes you wonder what's in those documents and what it is they're trying to hide at the risk of being thrown in jail for contempt. This January trial is going to be good. Love it. Kick and scream, b****es. I'm not sure I get it. Why don't they just commit discovery fraud like everyone else and conveniently fail to turn over the most incriminating stuff? Judge Walker is pathetic. The plaintiffs originally asked him to set a date for production and he refused, saying that the lawyers could work it out. The result was delay. Now he says that the defendants have until the close of fact discovery to produce the documents. But the plaintiffs want to get these documents b4 the close of discovery so that they can use them in Schubert's deposition. Lastly, it is terrible that Walker would put these documents under a strict protective order. That means the public may never know what was in those documents. This is a case of great public importance; it is not a private business dispute. These documents should be public. I am sure that, with their typical crack efficiency, gay organizations will fail to pursue this matter. Getting arrested would be the best thing that could happen to them. They'd get to claim religious discrimination, get free PR, and become martyrs to their cause. These fu*kers should be thrown in jail for contempt and kept there until their lawyers produce the goods. @ss: Regarding the protective order, the order has to exist to protect the legitimate correspondence that goes on during a campaign cycle - stuff that is not open to mandatory public consumption. Only during a criminal investigation (or, in this case, a challenge to an action's merits) can a judge order the release of this info for fact-finding. After evidence is found, then said evidence will be released to the court and depending on the judge's decision then will it be sealed or released. So you may never see the actual text. Or you might. But that decision won't be made until there's something of relevance found. And even if you never get to see the actual text, the court proceedings will clearly indicate whether it exists, regardless of whether the details or sealed or not. And for me, that's all I need to know. How will the Court and the plaintiffs (our side) know whether the defendants's (the bad side) have doctored or altered the originals? The fundies will stop at NOTHING, including civil disobedience, such as the Manhattan Declaration recently signed promoting ignoring laws thath they don't like.